OK..now for the airplane pictures I promised. This is the Cessna 182 in the shop at Red Deer that is currently going through a major overhaul and being licensed in Canada. It will replace our former 182. Beside me is the shop owner, Lorne Provincial, who has been helping out for some years now with our maintenance. 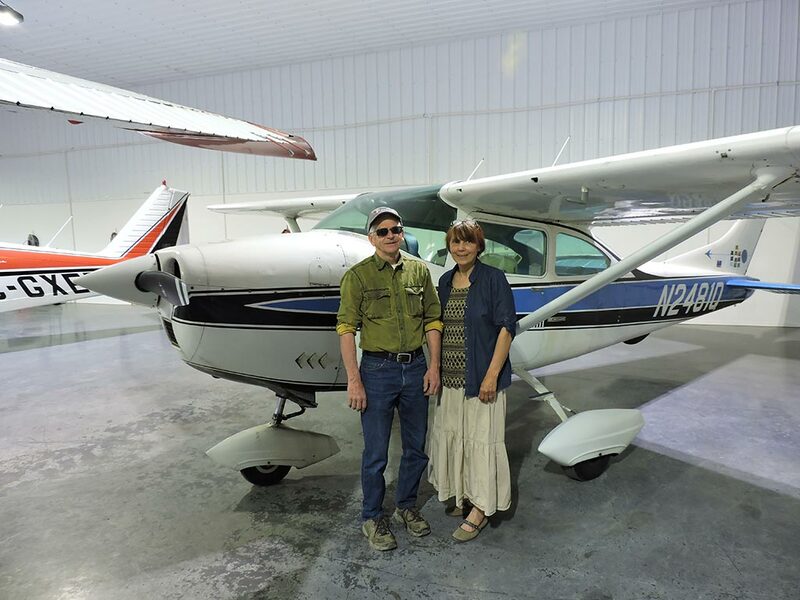 I flew our former 182 into Russian Siberia four different times when we were starting our Christian School in Providenia, plus years of flying in isolated Arctic villages in the Yukon, Northwest Territories, and Alaska. This is our propeller which has just completed it's mandatory 10 year overhaul. Almost everything is new except the blades. The hub had a hole drilled in the wrong place by a former overhaul prop shop, so they replaced it free of charge. 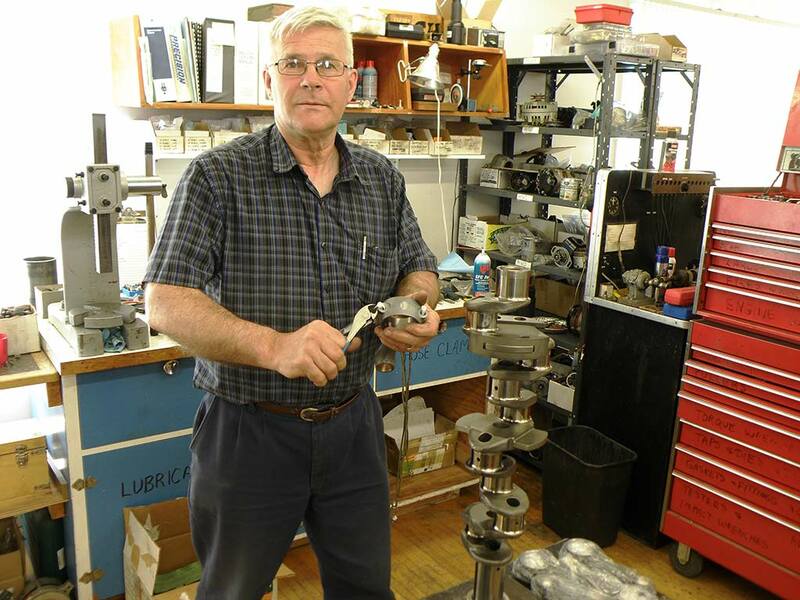 This is Dave From, posing for the camera, in his engine overhaul shop. Our crank was sent out to Oklahoma, as only a few shops in the country can certify a complete crank rebuild and non-destructive testing for flaws. Dave is now putting our engine back together as a zero time overhaul. 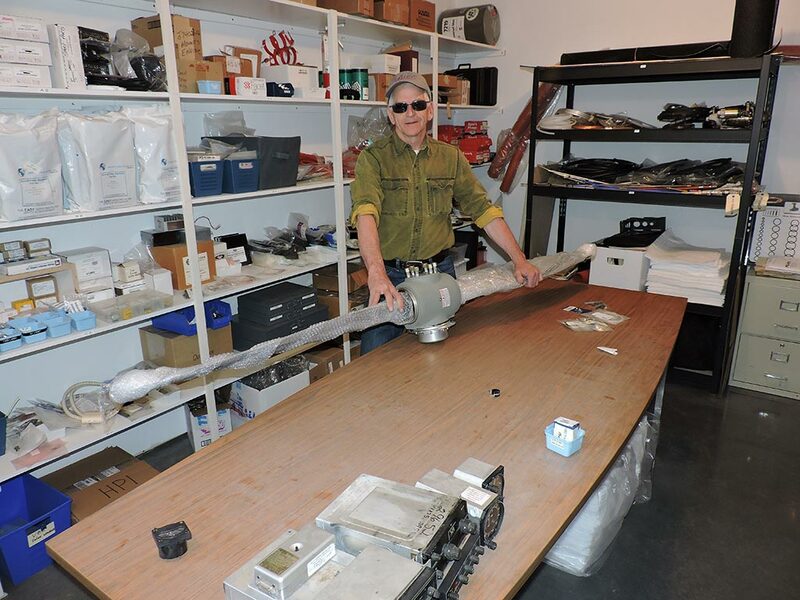 Dave has worked with our maintenance since the early days of our flying back in the 1980's. He used to do all the maintenance for the Lutheran Association of Missionarys and Pilots, who at that time had the largest fleet of 185's in the world. There are not many mechanics in all the country who have the airplane knowledge in their head that Dave has. As I mentioned before we are building a specialized bush plane, a Just Aircraft Super Stol. 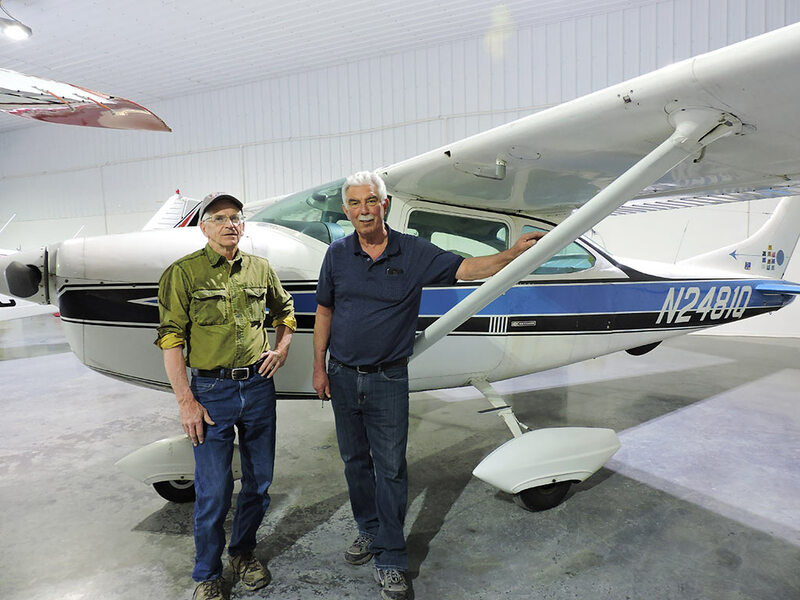 Gary flew his Super Stol to the mission recently on his way home to Alaska. Ours will be exactly like his when we get it finished. 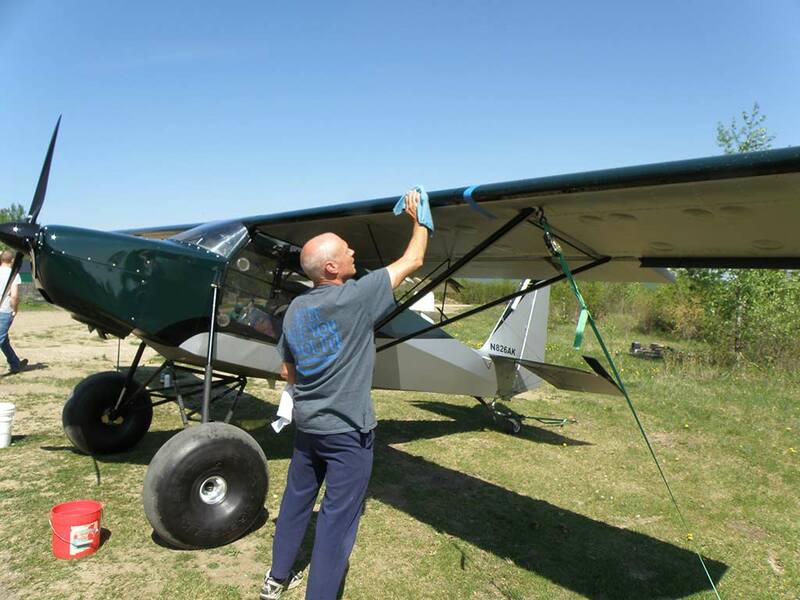 It is a lightweight airframe with mammoth landing gear for rough, short landings in the bush. It will replace our ski-doo and allow us to get into the bush camps up north where we do our Outreach. It is a completely different airplane than the 182 and used for entirely different purposes. 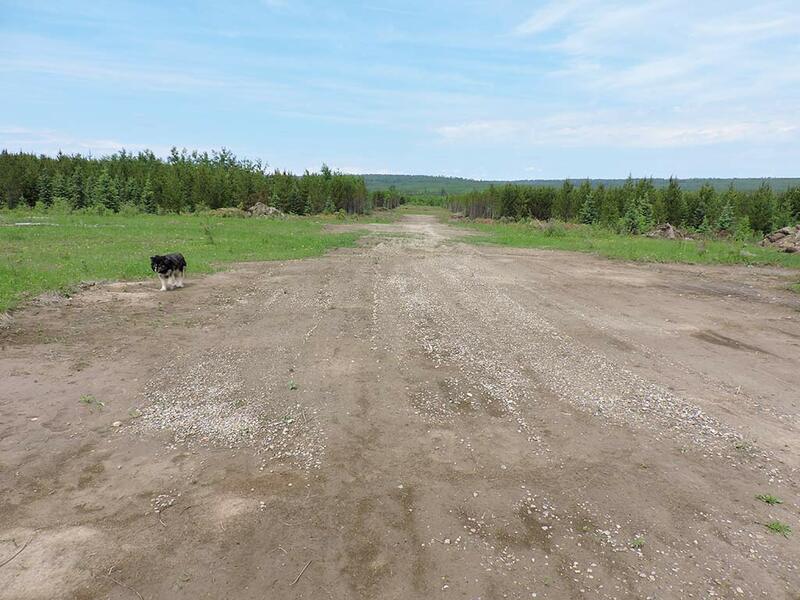 This is our airstrip which is a work in progress, as we are making it longer and smoother this summer. And this is the hanger that the Greencastle Methodist Church built for us last summer. This picture was taken just a few days ago and shows our garden coming up. This is Karen and myself posing by the Cessna 182. It is really difficult for me to say what this means to me that God has brought this to the place it is today. In the early days we sought God's will with all our heart that we might be led in His will, so that we could accomplish His purpose for our ministry. We didn't want to miss whatever God had, simply because we failed to trust Him, but neither did we want to attempt anything He wouldn't help us to accomplish if it wasn't His purpose. It was very difficult and took years to make these decisions. In the early 1980's we spent some time back in the Dakotas on the Pine Ridge Reservation, where I started out. During that winter we were there, I spent eight 36 hour total fasts concentrating on praying for God's will in this aviation ministry, at the very start. I was simply seeking Gods will and direction, and that whatever came out of it He would bless. (The fasts simply highlight the desire and intensity along with the importance we sensed that we get it right.) Once we determined what we felt was the right plan to pursue, our part was to commit all we ever had, everything, to God and His work. He has faithfully honored this and blessed beyond anything we ever imagined. He has worked things that large, bureaucratic organizations could not do with their large budgets. But, essential to all this, has been His amazing, humble servants, hidden away that helped make it possible, at just the right time. I can't say what a privilege it has been to witness this and share in it, and how grateful I am to those of you that have helped. It's only sensible that I've considered how long we might be good for, to carry on, since it takes, at times an intense effort. Some of the stuff we get into no one believes. But at this point we have strength that is in some ways better than it's ever been. We've worked hard on a conditioning program, proper diet, (Oh how I miss that Pepsi on ice) achieved our ideal weight, and so forth. The biggest challenge is emotional strength and faith..challenges that have always been the hardest. We have no reason to stop at this point, and when the time comes, if God is pleased to do so, He will have prepared someone we may hand it off to them. But for right now, God is full of surprises, and we have learned to anticipate, on a regular basis, "I wonder what is coming next??"